“Je T’Aime, Je T’Aime,” which opened yesterday at the New Yorker Theater, was shown at the eighth New York Film Festival. The following is from Roger Greenspun’s review, which appeared Sept. 15, 1970, in The New York Times. 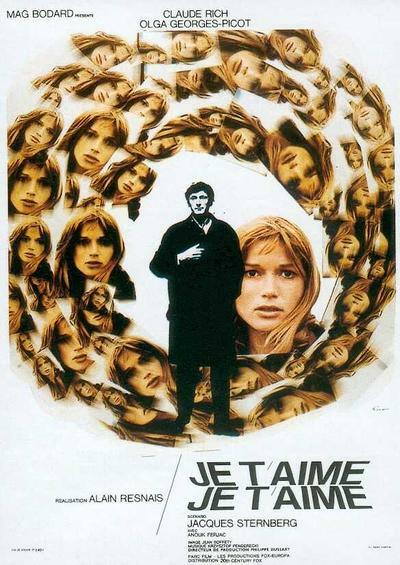 Like most of the previous films of Alain Resnais, “Je T’Aime, Je T’Aime” is science fiction of a sort. 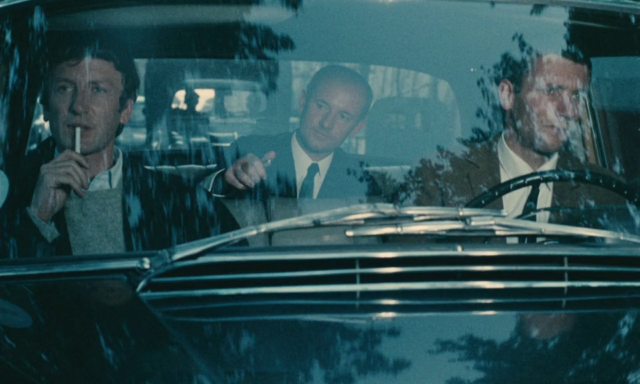 And like virtually all of Resnais’s previous films, its concern is for the past recaptured. 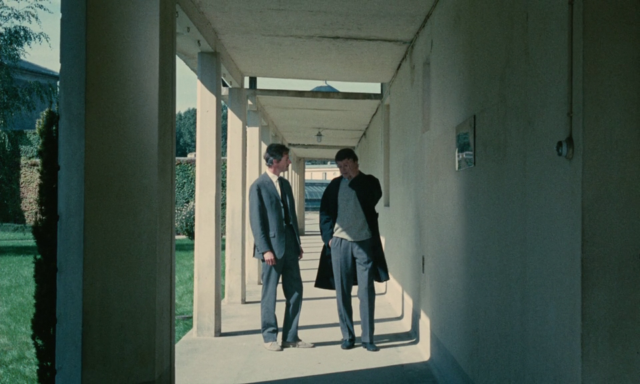 To support this concern it proposes a story, the most fragmented of all Resnais’ stories, dealing with, perhaps intense but nevertheless transitory love affair. 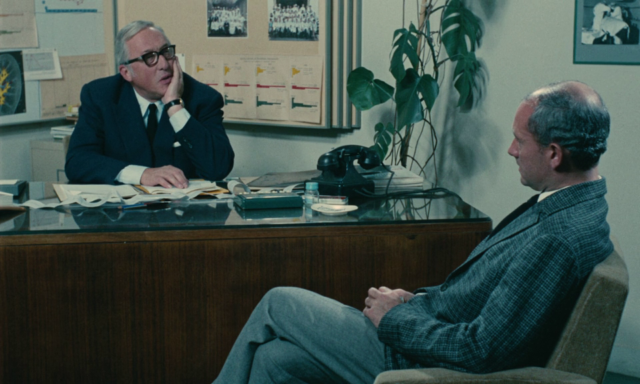 Claude (Claude Rich), having recovered from an unsuccessful suicide attempt, is picked for an experiment by a secret research center that studies time. 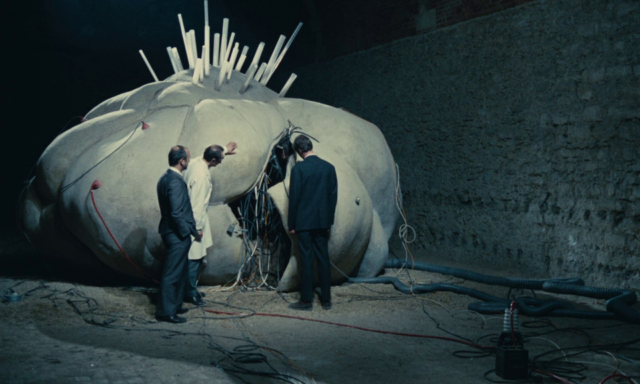 Claude, along with a laboratory mouse, is placed inside a large soft brain-shaped structure, from which he is to be transported back to relive one minute at 4 in the afternoon exectly one year ago. He does relive that minute (he is snorkeling on vacation in southern France, and “underwater” becomes a recurring image and idea for the film), but he begins reliving it several times over–and then in bits and pieces he begins to relive other moments scattered through the seven years he lived with Catrine (Olga Georges-Picot), whom he thinks he killed and for whose death he had tried to kill himself. 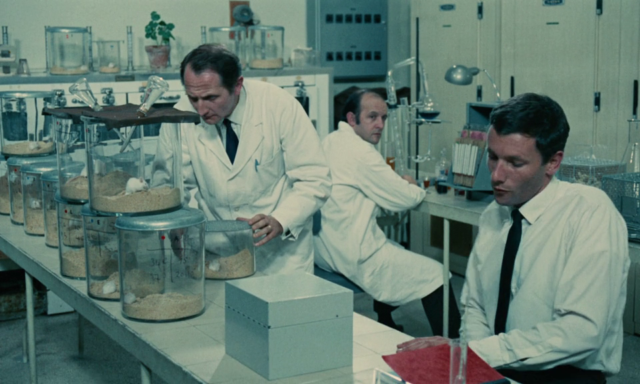 Assuming that they have lost him forever, and sadly admitting that their experiment has been a most incomplete success, the research scientists wander out of the laboratory–only to discover Claude, a bullet in his gut (he has most recently relived his botched suicide) lying on the grass. But in their despondency and concern they forget the little mouse, who did come back, and now sniffs forlornly inside his container within the giant brain. I am disturbed by that mouse, not only for the bathos of the image but also because his situation so ludicrously (and, I think, so intentionally) recalls that of the wife, Simone, looking for her husband, already light years away, inside another woman’s deserted apartment at the end of Resnais’s one masterpiece, “Muriel.” For “Je T’Aime, Je T’Aime” resembles “Muriel” in so many close ways that the success of the older film (1963) stands in almost total reproach to the general banality of the newer one.